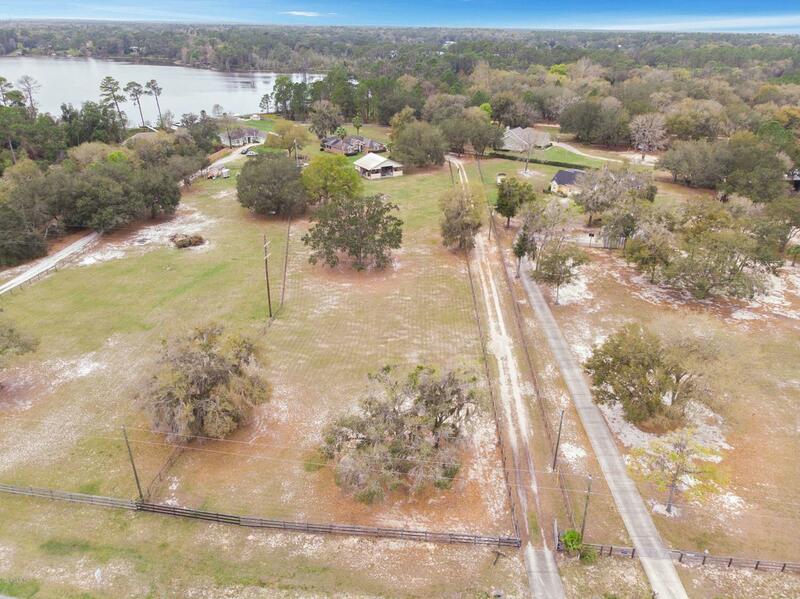 Feast your eyes upon this awesome mini-farm located in gorgeous Ocklawaha right off of Lake Fay. 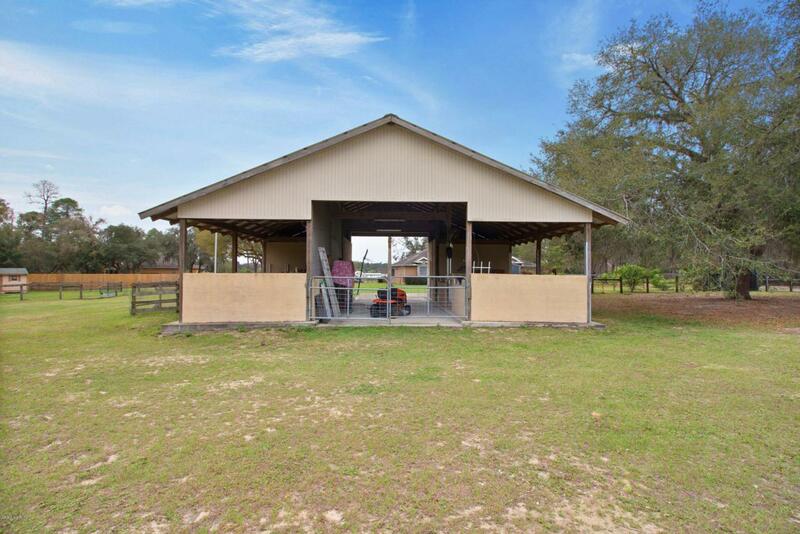 The barn contains 4 stalls for horses with fans in each stall and a separate ante room and air-conditioned kitchenette. As for the home it is completely fenced in to let your animals roam, new irrigation system, new flooring, a water shut-off system for each part of the house, solar capabilities, stainless steel appliances, closed in lanai which makes for an ideal sitting room, screened in pool/patio area, plenty of ceiling fans and a stereo surround sound system throughout the entire home. 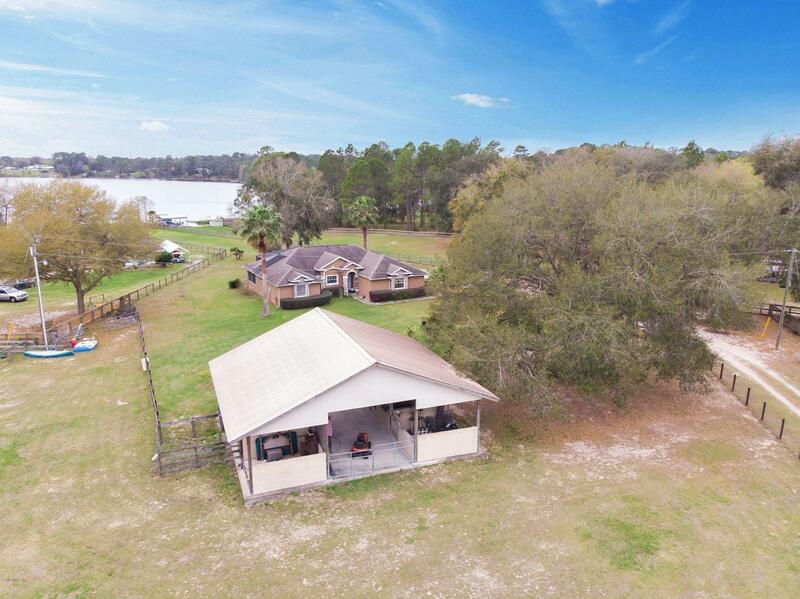 Enjoy time by the water with the dock out to the lake located in the back yard as well. A must see for sure. 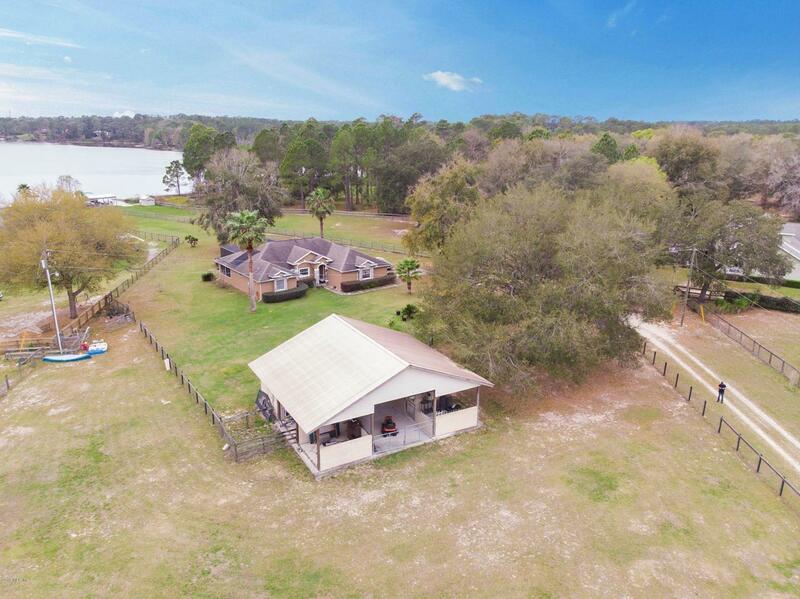 Listing provided courtesy of Steven Billington of Globalwide Realty Llc.